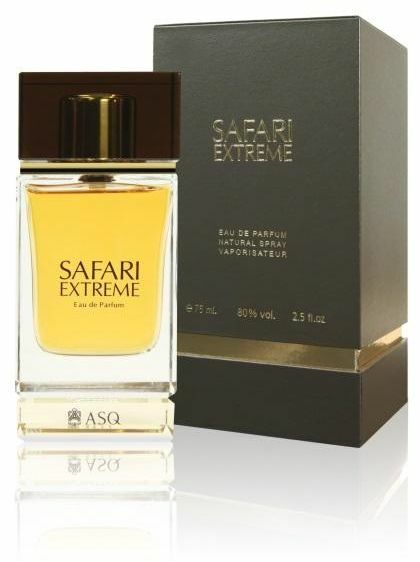 Safari Extreme is a popular perfume by Abdul Samad Al Qurashi for men. The release year is unknown. The scent is woody-sweet. Projection and longevity are above-average. It is still in production. Safari Extreme won the Fragrance of the Year award at the 2015, 6th Annual Arabia Fragrance Oscars. This fragrance smells similar to the original Safari Blend; Just darker and spicier. A very masculine scent. 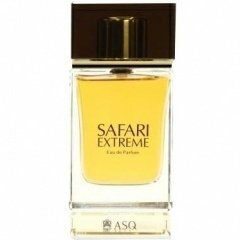 On wearing Safari Extreme, the notes I get are vanilla, peppery spices, sandalwood, florals (jasmine, rose and maybe ylang ylang? ), oud and a woody note that smells like it might be cedar. Safari Extreme is a versitile fragrance that can be worn at the office, on a date, a night on the town or just for daily wear. In my opinion, Safari Extreme can be worn on Summer nights, as well as day or night during the Autumn, Winter and Spring seasons. Enormous sillage and very long lasting. I have received many compliments while wearing this. Blind buy worthy and signature scent worthy. Write the first Review for Safari Extreme!